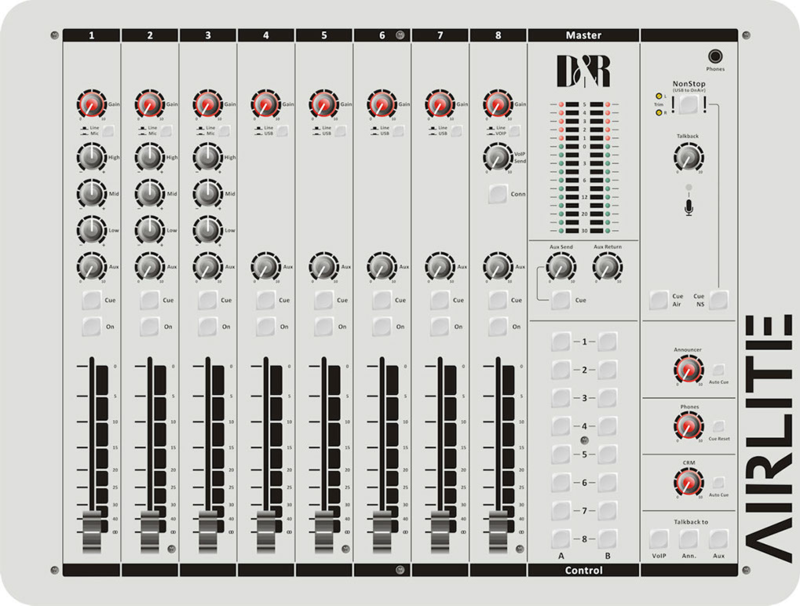 The AIRLITE from D&R is a superb mixer which provides some powerful functionality for modern, compact studios. 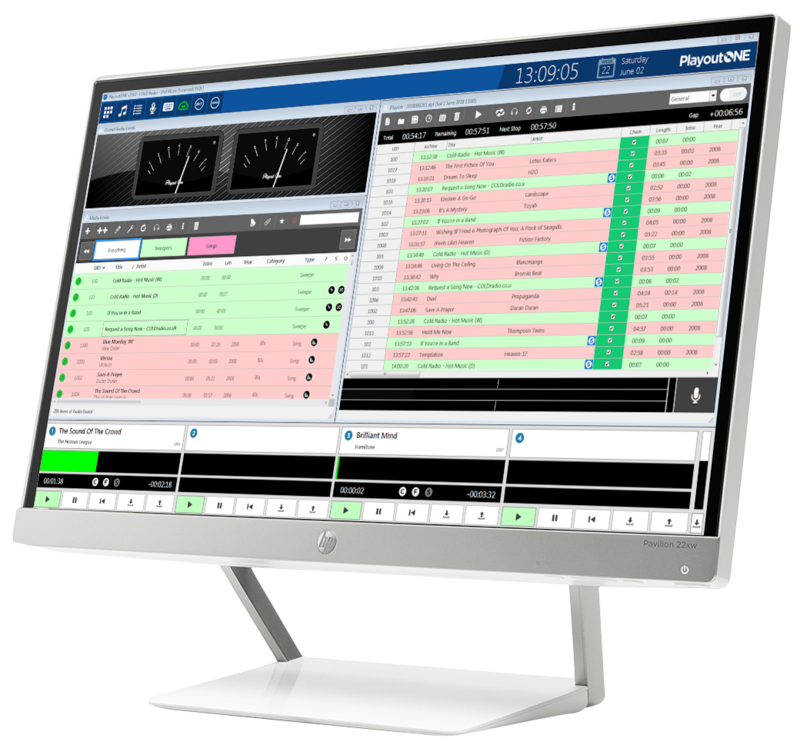 We are proud to be able to integrate PlayoutONE with the AIRLITE which gives the mixer control of PlayoutONE to make fader starts, button starts, play next, voice tracking and more to be controlled from the AIRLITE. If you have the AIRLITE and would like to try it with PlayoutONE then simply download the XML configuration file for the AIRLITE Keyboard Mapper application and load it into it. Please note that as the keyboard mapper can be configured in a variety of different ways, and everyone will have their own preference, this XML file is provided to purely give you the starting block with fader start and button starts configured. If you want to connect to an analog phone line a clean feed output is available for connection to an external Hybrid. The Cue bus is also a communication buss, so the announcer can easily have a discussion with the caller while ON-AIR. Just hit the two related CUE buttons and you’re talking. When a call comes in your attention is instantly drawn by a clear signal to be seen on the Meter screen. The D&R AIRLITE’s uncluttered and clearly understandable features makes it the ideal companion for rapid on-the-spot radio programs. To find out more about the AIRLITE you can download the manual for even more in depth info from their website.